Big Benefit 1: You get Online Profits Daily newsletter. Over 550,000+ subscribers get my daily emails for 5+ years. Bigger Benefit 2: Let me save you time, energy, and even costly mistakes so you don't get laughed at by your friends, family and other losers that don't believe in your greatness. Big Badass Benefit 3: It's awesome. NOT LAME. I even throw in contests, cash prizes, gifts, free training webinars and other goodies, but don't just come for the freebies. Deal? Seriously: Register now and you can unsubscribe anytime you want! “The Perfect Internet Side Income Kickstarter"
Now accepting charter members! Claim your limited time charter member discount + fast-start bonuses before it's too late! ALERT: Next 300 charter members will be accepted in the next two weeks... DO NOT DELAY! "Shaqir is the secret weapon for a lot of industry’s top producers when it comes to getting traffic." Ex NASA, 20 Year Ex-Business Executive "$103,249.00 In 6 Months"
DISCLOSURE & DISCLAIMER: The sales figures stated above are my personal sales figures. Please understand my results are not typical, I’m not implying you’ll duplicate them (or do anything for that matter). I have the benefit of practicing direct response marketing and advertising since 2009, and have an established following as a result. Although I’ve trained over 500,000+ subscribers and clients globally. The average person who buys any “how to” information gets little to no results. I’m using these references for example purposes only. Your results will vary and depend on many factors …including but not limited to your background, experience, and work ethic. All business entails risk as well as massive and consistent hard work, effort and action. If you're not willing to accept that, please do not bother to proceed with any information we share. Thanks for stopping by. ABOUT THE FREE TRAINING: At the end of the training, I’ll be making an offer for people who want to have access to a platform that will help implement what they learn on the training and more. This is completely optional. 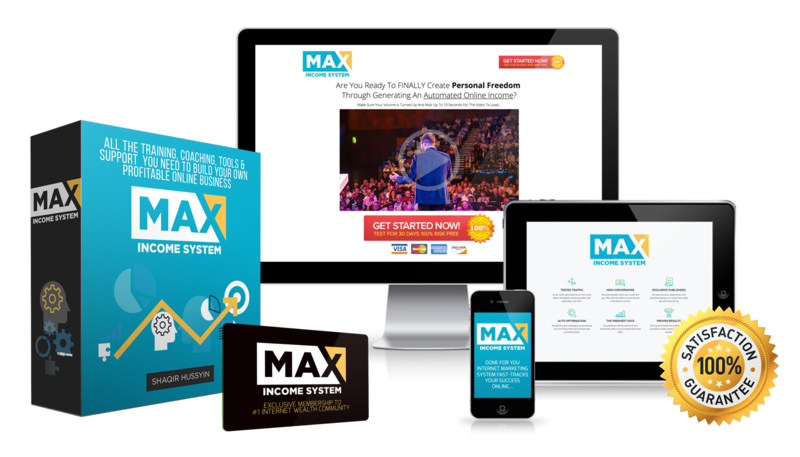 The free training video lasts about 15 minutes and if you don’t want the platform, you can leave without buying anything. All emails comes with an unsubscribe link that you can remove yourself anytime.